The race for this year’s Big Wave world champion took a pivotal turn during the Nazaré Challenge in Portugal this past weekend. 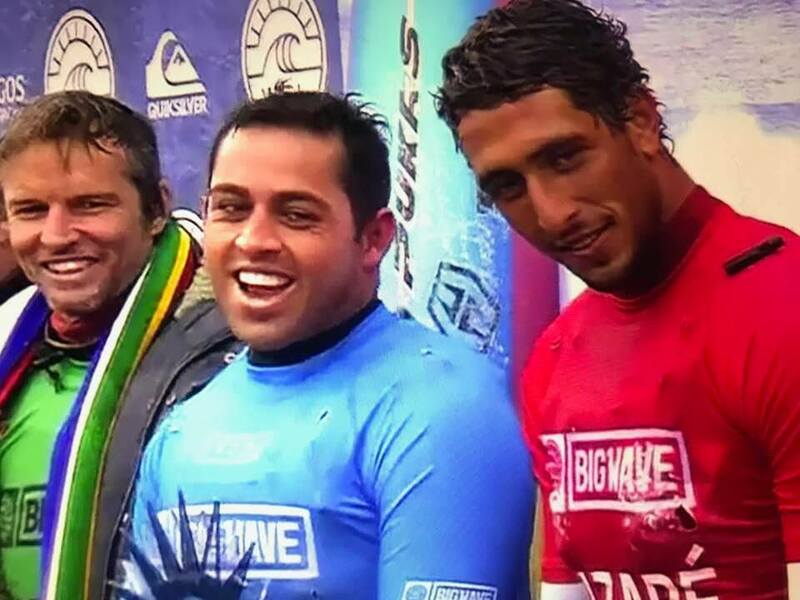 While Brazilian Lucas Chianca nabbed the big headlines with his first Big Wave Tour victory, Billy Kemper‘s runner-up finish lifted him just past Kai Lenny for the top spot on the rankings. Kemper didn’t let Nazaré’s tough conditions bother him. The Hawaii-born surfer charged into the Finals.WSL / LAURENT MASURELKemper and Lenny are leading a pack of young, Maui-bred surfers who are reshaping the big-wave landscape with their gritty performances in every kind of condition. 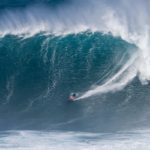 Kemper is a two-time winner of the Pe’ahi Challenge, and Ride of the Year winner at the 2017 Big Wave Awards. Lenny, meanwhile, has taken a page from Laird Hamilton, quickly becoming the sport’s most highly-regarded test pilot across myriad types of watercraft. 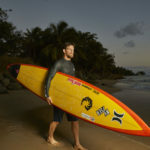 Aside from being a big-wave phenom, he’s a standup paddling race champion and an influential foil boarder. Naturally, both surfers are hoping for an epic showdown at the Mavericks Challenge, the final event on the schedule for this year’s 2017/2018 Big Wave Tour. The event window for California’s premier big-wave contest remains open until February 28. If it runs, you can bet it will be a battle. And if it doesn’t run, Kemper will become the Big Wave Tour world champion. At this point, the race for the Title seems to be between Kemper and Lenny, as Ian Walsh, who’s in No. 3, is roughly 10,000 points off the lead. And while the battle between the top two will undoubtedly take center stage if Mavericks runs, there are a handful of subplots that will also keep things interesting, namely: who will make the cut for next year’s Big Wave Tour. Surfers who finish the season in the Top 10 are guaranteed spots in the following year’s events. 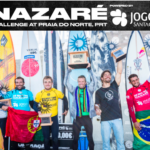 After the Nazaré Challenge, there are some surfers who are surprisingly just outside of that cutoff, including South African Grant “Twiggy” Baker, Oahu native Nathan Florence, Maui’s Albee Layer, and Californian Nic Lamb. Lenny’s 4th-place finish at Nazaré dropped him to No. 2 on the Big Wave Tour rankings. WSL / ANTOINE JUSTESBaker missed the Pe’ahi Challenge, which cost the two-time Big Wave Champ dearly in terms of rankings points. But he managed to climb 13 spots up the ladder in Portugal. He’s now sitting at No. 13 heading into Mavericks, a break where he’s turned in some of his most incredible performances. Florence (who’s also the younger brother of reigning Championship Tour World Champ, John John Florence) looks determined to get a slot. If he does, you can bet he and his older sib will be hoping to lock up some World Titles together in future years. Nathan jumped six spots up the rankings after his run in Portugal and now sits at No. 12. While the battle is tight at the top of the Big Wave Tour rankings, upstart Nathan Florence is involved in the other crucial race on the Big Wave Tour — to make the Top 10 cutoff which will guarantee him a spot in next year’s events.WSL / LAURENT MASURELEveryone has their fingers crossed that the North Pacific will come alive sometime in the next two weeks and allow for a big show at Mavericks. As of Monday, February 12, however, there’s nothing noteworthy appearing on Surfline’s long range-forecast. All of which makes Kemper’s runner-up result at Nazaré more and more significant with each passing day.